Thank you! As I read our latest issue of Findings, that's the phrase that keeps coming to mind. Thank you to Samantha Ravich for her service and many contributions as our alumna member of the school's Board of Governors. Thank you to alumni like Larry Picus who enthusiastically visit the Pardee RAND Graduate School and talk about post-Pardee RAND life and careers with our students and faculty. Thank you to the many alumni who met with or spoke to more than 130 of our applicants, letting them know about the graduate school and letting us know if Pardee RAND is right for them. Thank you to Board members who called students accepted into our program to encourage them to join the community. And thank you to the many alumni who have encouraged and mentored our students this past year, as they prepare for graduation and their new careers. Perhaps it is inspired by the season, but the time just seems right to step back and be grateful for all that you do for the Pardee RAND Graduate School and our students. Alumna Samantha Ravich (cohort '92) was recently honored as she fulfilled her term as alumni representative on the Pardee RAND Board of Governors. Samantha has set the bar extraordinarily high for this role with her perspective on many important issues impacting alumni and the school, including tuition scholarships, career services, commencement, and raising the profile of the school. Samantha exemplifies the history of the school both with her service on the Board and throughout her career. In addition to her role as alumni representative to the Board, she has also served on the distinguished alumni award committee, as a 40th anniversary video cohort lead, and has helped interview prospective students to bring in the best students to Pardee RAND. 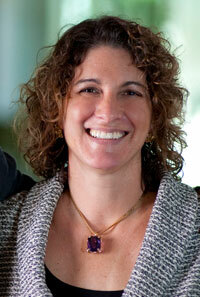 We are pleased to announce that Samantha will be leading the new Alumni Association Advisory Committee (AAAC) in 2014. The school reserves one three-year, non-renewable term on the Board for a Pardee RAND alumni member and will be appointing a new member for the spring meeting. We are truly grateful to our alumni for their service and dedication to Pardee RAND Graduate School. Our alumni help the admissions team with the interviewing process for prospective students, return to the school to give career talks and advice, recruit students into terrific jobs, give financially in a way that is changing practice, and gather to reconnect at a variety of Pardee RAND events. A huge thank you to our alumni for Being the Answer. Please enjoy the videos, and let us know what you think. We received over 450 pre-applications and 138 completed applications. Completed applications were up 30% over the prior few years. 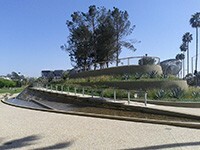 Those who have been on campus may be well aware, but those whose days in Santa Monica have drawn to a close will be interested to know that the location of the old RAND building is now the 6-acre Tongva Park, the city's newest green space. The beautifully designed park opened in October; we're delighted to have such a charming new next door neighbor. Take a photography-filled tour at Curbed LA. Pardee RAND students have been busy writing RAND reports and journal articles. Below is a sampling of recent releases; a full list is available online. Abigail Haddad (cohort '09) along with faculty member Nelson Lim co-authored First Steps Toward Improving DoD STEM Workforce Diversity, which helps provide suggestions for future research, analysis, and action following the 2012 DoD STEM Diversity Summit. Jesse Sussell (cohort '10) examined microgeographic voting and party registration data from California, and found that Republicans and Democrats are becoming increasingly geographically segregated from one another. His research New Support for the Big Sort Hypothesis: An Assessment of Partisan Geographic Sorting in California, 1992–2010 was published in the journal of the American Political Science Association. 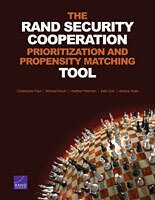 Jessica Yeats (cohort '10) worked with faculty member Christopher Paul and other RAND researchers to develop The RAND Security Cooperation Prioritization and Propensity Matching Tool for U.S. defense planners to augment their strategic planning efforts as they evaluate current and proposed security cooperation efforts. Sam Bozzette (cohort '91) has been selected as medical editor at Physician's News Network, in addition to his consultancy and professorship at UC San Diego. Myles Collins (cohort '05) has been promoted to senior project manager at Southern California Edison. Teresa Taningco Kaldor (cohort '01) is now senior analyst for research and evaluation at The Broad Foundation in Los Angeles, CA. Arash Naeim (cohort '99) is now clinical medical officer for clinical research at UCLA in addition to his role as assistant vice chancellor for research. Mark Schuster (cohort '91) was elected to the Institute of Medicine, considered one of the highest honors in the fields of health and medicine. Brooke Stearns Lawson (cohort '05) has been accepted into the Council on Foreign Relations' Term Member Program. Farrukh Suvankulov (cohort '05) is now senior analyst at the Bank of Canada in Calgary, Canada. Mike Thirtle (cohort '95) is now the vice president of strategy and information systems of Bethesda Lutheran Communities. Larry Picus (cohort '84) returned on October 24 to participate in a Pardee RAND Alumni Career Talk to discuss his experience as the Vice Dean of Faculty Affairs and Professor of Education at USC's School of Education. The room was packed with students, interested in hearing him speak on his post Pardee RAND career and to talk about topics in education and working in academia. Picus is an expert in the area of public financing of schools, equity and adequacy of school funding, school business administration, education policy, linking school resources to student performance and resource allocation in schools. Bruce Bennett (cohort '75) testified before the House Armed Services Subcommittee on Intelligence, Emerging Threats and Capabilities on October 11 at the hearing “Biodefense: Worldwide Threats and Countermeasures Efforts for the Department of Defense” discussing the potential implications of a sudden North Korean collapse — including what will become of the country's weapons of mass destruction, and how to avoid a civil war and mitigate a likely humanitarian disaster. Sergej Mahnovski (cohort '98) was featured in an article in Scientific American for his role in Superstorm Sandy as director of the New York City Mayor's Office of Long Term Planning and Sustainability. When the storm hit shore a year ago, Sergej had been on the job one week. Helen Wu (cohort '07) authored Changes in the Energy and Sodium Content of Main Entrées in US Chain Restaurants from 2010 to 2011 and was featured in the LA Times and other news outlets. WOW! Look at all of these new graduates and their new jobs! They have completed their dissertation requirements and are now officially Pardee RAND alumni. The range of dissertation topics covers a multitude of policy areas using a variety of methodologies. We are so proud of you! Ben Bryant (cohort '05); dissertation: Monopoly and Micro-irrigation in Smallholder Water Markets: Using Exploratory Modeling to Consider Interactions Between Market Structure and Agricultural Technology Subsidies. He is now a staff economist at the Millennium Challenge Corporation. Stephanie Chan (cohort '07); dissertation: Fighting Obesity in the United States with State Legislation. She is now a Prevention Effectiveness Fellow at the Centers for Disease Control and Prevention. Eileen Hlavka (cohort '07); dissertation: Policy Impacts on Wind and Solar Innovation: New Results Based on Article Counts. She is now an air pollution specialist at the State of California Air Resources Board, contributing to policy decisions about California's greenhouse gas cap and trade system. Seo Yeon Hong (cohort '05); dissertation: Three Essays on Child Labor and Education in Developing Countries. She is working as an economist consultant in the South Asian Human Development, Education Unit at the World Bank Group. Russell Lundberg (cohort '07); dissertation: Comparing Homeland Security Risks Using a Deliberative Risk Ranking Methodology. Amber Smith (cohort '09); dissertation: The Influence of Contact with Children, Contact with Healthcare Professionals, and Age on Influenza Vaccine Uptake. She is now fiscal and policy analyst for Health at the California Legislative Analyst's Office. Kay Sullivan Faith (cohort '08); dissertation: Patterns of Creation and Discovery: An Analysis of Defense Laboratory Patenting and Innovation. She is now operations research analyst, force structure and risk assessment at the Office of the Secretary of Defense CAPE. Haralambos “Bobby” Theologis (cohort '10); dissertation: Capacity Management and Changing Requirements: Cost Effective Decision Making in an Uncertain World. He is currently a combat rescue officer trainee for the United States Air Force. Xiao Wang (cohort '08); dissertation: The Role of Economic Development Zones in National Development Strategies: The Case of China. She is now senior economic analyst in planning and regional development for the Port Authority of New York and New Jersey. Thank you to everyone who submitted their information for the alumni directory. Please keep your eyes out for this directory as we'll be sending it out soon! If you did not fill out the survey and would like to be included in the directory (and therefore receive a copy), please email Evelyn Fees as soon as possible. Once again we will be honoring an alum with the Alumni Leadership Award during our 2014 Commencement Weekend. This award is designed to recognize prominent alumni who show passion, leadership and discipline in their careers, and who have made exemplary and important contributions to public service. We will send an email asking for formal nominations at the beginning of January, so please be thinking about what alumni should be considered for this honor. Pardee RAND Graduate School hosted a reception for alumni, faculty, and students at the APPAM conference on November 8 in Washington, DC. It was a terrific evening, and a fun opportunity for alumni to reconnect with one another — shown to the right are Michael Shires (cohort '90), Kay Sullivan Faith (cohort '08), Abigail Haddad (cohort '09), and Richard Bowman (cohort '06). Furthermore, several RAND staff, Pardee RAND alumni and first-year student Gabriel Weinberger presented on a variety of topics at the conference. If you live or are planning to be in Los Angeles on December 13th, please join us for a holiday reception with students, faculty, staff and alumni at Pardee RAND from 4-6 pm. Contact Evelyn Fees to RSVP. Dean Marquis will be in Washington, D.C. on December 17 and would like to invite you to join her for lunch if you will be in town. This will most likely take place at noon at a restaurant in downtown D.C. RSVP by December 13 to Evelyn Fees. The Pardee RAND Commencement Ceremony will be Saturday, June 21st, 2014; on Friday evening, June 20th, we will host a dinner for graduating students and Pardee RAND alumni. In 2012, we had over 50 alumni attend! We will once again be presenting our Alumni Leadership Award and look forward to the opportunity to bring even more current and new alumni together in what has become a memorable tradition at the School.